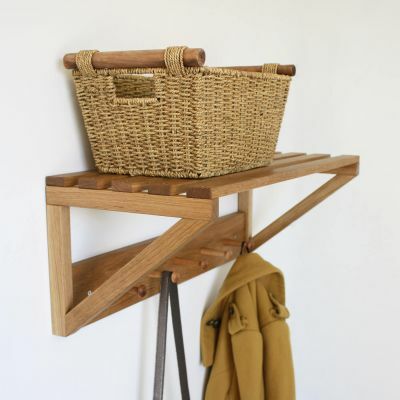 Designed for busy family homes, our sturdy oak shoe rack is built to last. Capable of storing shoes of all sizes, the open shelves ensure all of the space is usable, while the slatted design allows your shoes to breath. 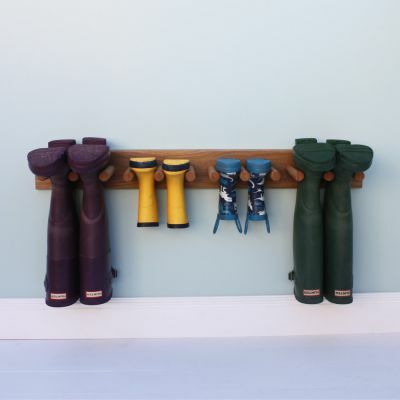 Ideal in both contemporary and more traditional settings, our shoe racks are made to fit perfectly into the space you have. If you're in need of a very specific length please contact us and we will be happy to help. To give you an idea of storage capacity our standard size will comfortably fit 3 pairs of shoes side by side on each shelf. Oak finished with Danish oil. 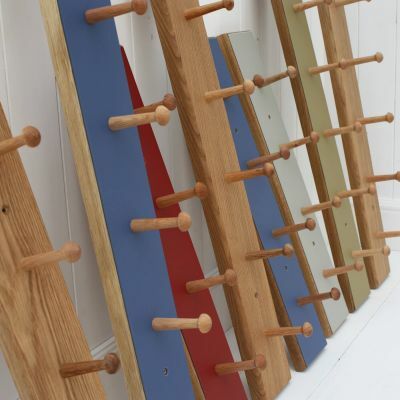 Please note: Although robust, this shoe rack is not designed to sit on.